Shade gardens are a wonderful way to utilize the areas under trees, beside fences, and along foundations. But be sure to choose the right plants for your shady spot. Check your garden’s shade patterns. High tree canopies give partial or dappled shade, while buildings or low trees provide full shade. Some shade-loving plants also love the sun, so if your shade shifts, look for plants like flax lily that adapt. Many shady areas are also dry, so use drought tolerant shade lovers like devil’s backbone. Shade-loving perennials include ferns, crossandra, and gingers, but many more are available. Perennials with white or brightly colored flowers or variegated leaves, such as jewels of opar, will stand out, and turn that shady area into a garden showpiece! 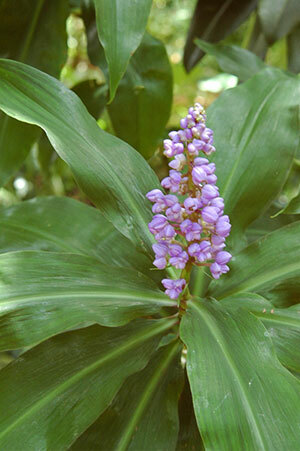 Learn more about plants for shady landscapes at UF/IFAS Gardening Solutions. Do these plants require full shade? Can they tolerate some morning sum?